A podcast by Subversion 1312. Linda speaks with John about ZAD. Originally published by Subversion 1312. Interview by Linda Rose. In 1965 a block of land in western France was sent aside for a new airport which was to provide an international gateway to the area. Earlier this year the airport development was cancelled. 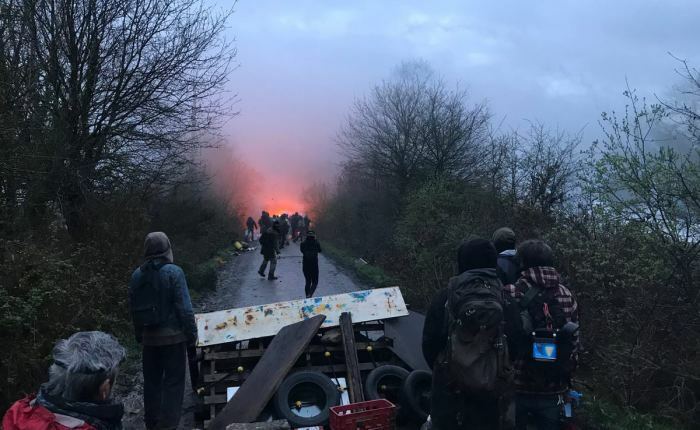 The decades long struggle to defend the land has become an enmoreous story and an inspiration to resistance movements especially anarchist worldwide. John Jordan orginally from England has lived in France for many years. He’s been involved in the defence of this land for six years and living on site for two. The site is called ZAD Z.A.D when I spoke to John I began by asking him to describe what the ZAD is.